Have a read through some of the brands we carry in store. Jack O’neill opened the world’s first surf shop in 1952 out of a garage in San Francisco. 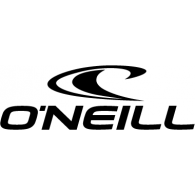 By the 1990’s the O’neill company had become a leader in surf style and beach lifestyle fashion across the USA, Japan and Europe, as well as dominating the world wetsuit market. Today, the O’neill wetsuit business is still run by the same family in Santa Cruz, California. Pukas Surf is a family driven company based in the Basque Country and has built a reputation for making quality high-performance surfboards and custom bikinis. Mixing a global view and a local knowledge, the group has been able to feed their surf addiction since they first handshaped a surfboard in 1973. The iconic Australian surf and lifestyle brand Billabong was started in humble beginnings by Gordon Merchant. The name Billabong is derived from the Wiradjuri word bilabaŋ, which translates to ‘creek that runs only during the rainy season,’ and captures Gordon’s early days where he was found chasing the waves. Built from the ground up with performance and function in mind, Arcade Belts feature materials meant for the outdoors, that stand apart from rigid leather, stiff webbing, and cheap logo-stamped crap. Better for skating and snow pants, hiking and hybrid shorts, we focus on better design and stronger materials to change the way you think about belts. Australian Gold was started in 1985 and aimed to create sun care products that were affordable and good for your skin. All Australian Gold sun products are paraben, dye and alcohol free unlike most sun lotions, and contain nutrient rich Australian ingredients. Chilly’s was founded in 2010 by James Butterfield and Tim Bouscarle, with the aim of providing people with the ability to always have cold water on-the-go, without having to buy single-use plastic water bottles. The result was the Chilly’s Bottle. A modern and stylish product designed to combine the convenience of a plastic water bottle, with the high performance technology and eco-friendly benefits of a traditional flask. The eye-catching designs on SlowTide’s super-soft and fast drying towels will ensure you never lose your place on the beach again. 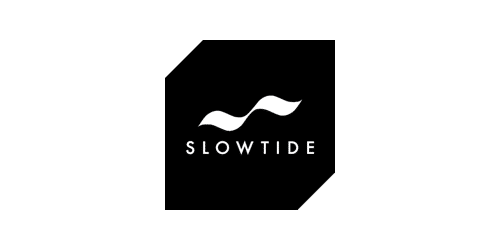 Slowtide saw a category that had been ignored and overlooked. From dyeing fabrics, mixing paints, manipulating pixels and collaborating with artists and photographers, Slowtide created a new medium for art. Based in Hawaii & California, Slowtide ties together a sentiment for the water and art. The name Havaianas is Portuguese for Hawaiians. The first pair of Havaianas was born in 1962 in Brazil, based on the traditional Japanese sandal known as the Zori, whose soles are made of rice straw. The texture of Havaianas’ rubber soles are like rice grains, one of the many details that make Havaianas unmistakable. 2 years later, in 1964, practically every worker in Brazil wore a pair. Today, Havaianas are the most popular flip flops in the world, with 200 million pairs being sold every year. Passenger Clothing are based locally in the New Forest, running an ethical travel brand dedicated to developing products that reflect everything they live for; surf, travel, adventure and escapism. Surfboard shaper and visionary Bob Hurley started the Hurley brand in 1999, embracing a life informed by the ocean and the spirit and creativity of youth. Obsessed with making boards that were lighter, faster and more flexible, Bob eventually translated that innovation ethos to board shorts, and the rest is history. Today, you can find Bob “product-testing” at home in Newport Beach, Hawaii or at some of the best waves around the world. Dryrobe® was designed by Gideon Bright - a North Devon, UK based surfer with over 30 years experience in the water. Stay warm, get changed and it fits over everything - you don't know how much you need a Dryrobe until you own one. This sunscreen has been tested in labs across the world and has recorded unsurpassed results for water resistance after 4 hours of submersion in water. Island Tribe is always formulated without oxbenzone which is extremely harmful to marine life. Like all things Quiksilver, Roxy was born in the water; initially a swimwear line, it debuted in late summer 1990 to immediate success. The fact that Roxy was a women's line offered by an authentic surf brand made it intriguing for both retailers and girls alike. It was the first of its kind on the market, and soon after, the other surf brands followed.